First a quick Chinese Shar-Pei history lesson. 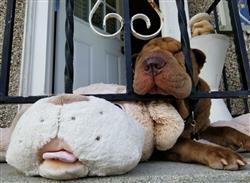 In the late 1970s/early 1980s the Shar-Pei was the rarest dog on earth and was thiiiis close to extinction. 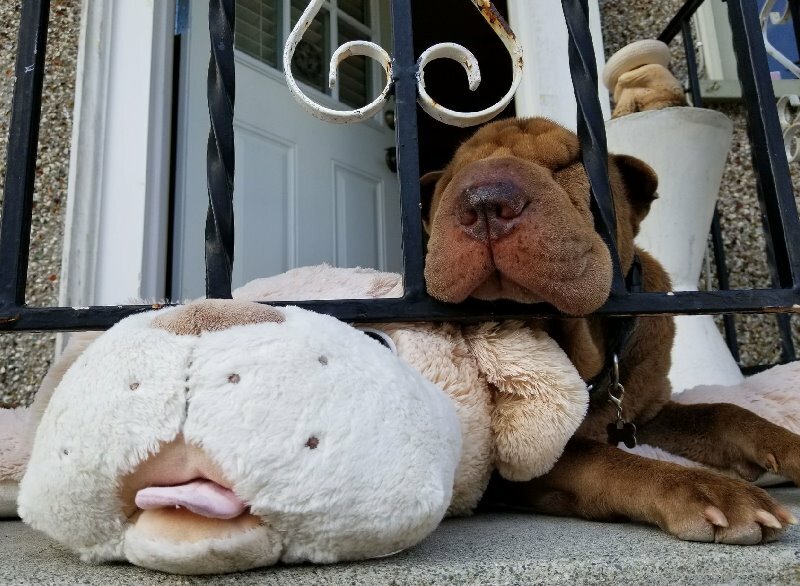 Thanks to a passionate band of breed supporters the Chinese Shar-Pei was saved from disappearing forever. Of course, this means the genetic pool wasn't a pool or a pond…it was a puddle. 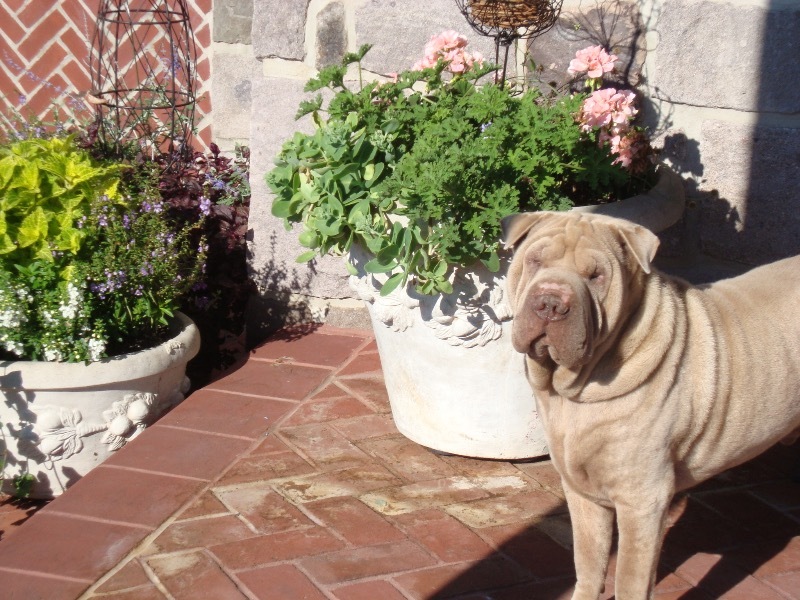 This small DNA variety led to a variety of issues that the dedicated Chinese Shar-Pei community has worked to eliminate. A chronic dry nose may be a symptom of a slightly depressed immune system. 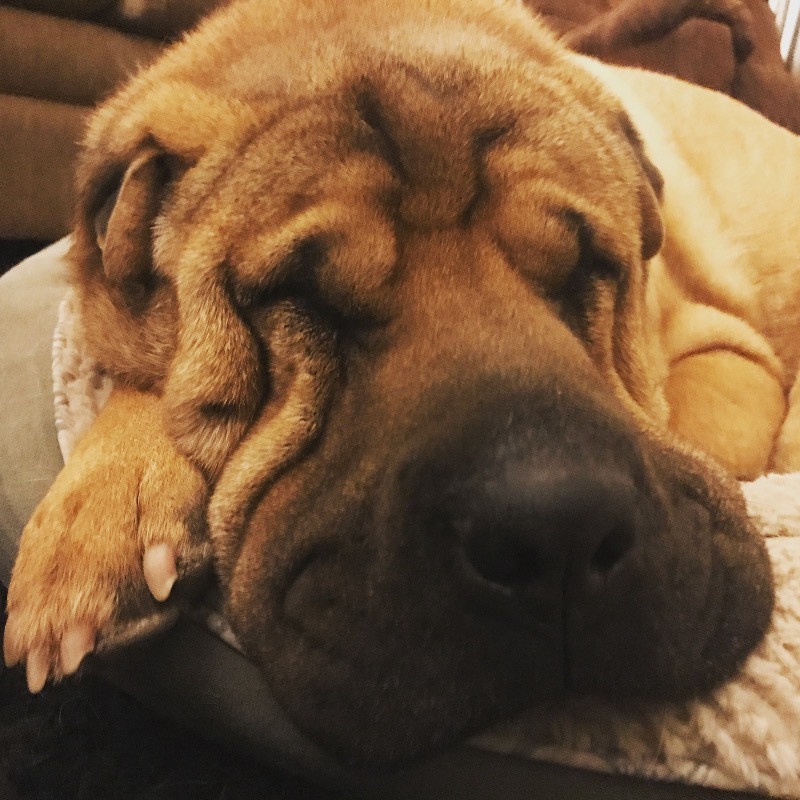 If the nose has an extreme level of dryness or layers of crust your Chinese Shar-Pei may have Nasal Hyperkeratosis. More on that condition in Tabs below. The good news is any level of dry nose issue can be easily treated and a healthy balance maintained with routine Nose Butter® usage as a crusty dog nose remedy. Dab, Distract, Done! works for the majority of dogs. If you have an uncooperative dog, try these tips, plus, refer to even more hints in the toggle bar/tabs below. 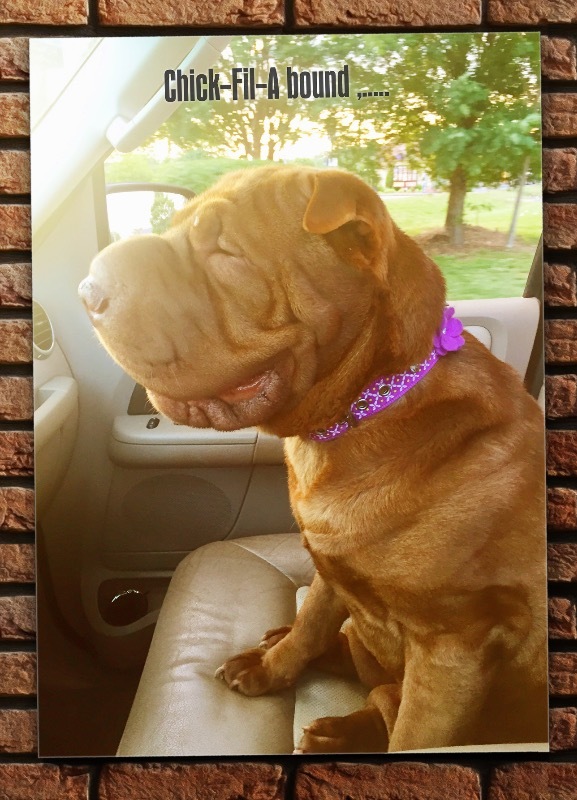 A thousand years ago, the late 1980s, I shared my life with a few Shar-Pei. Yep, that's me with Krinkle Dog. I was working those 80s leg warmers in the Dallas summer. Krinkle Dog was a sweet loving dog and I still miss him. Cleared up her scaly nose and cracks. 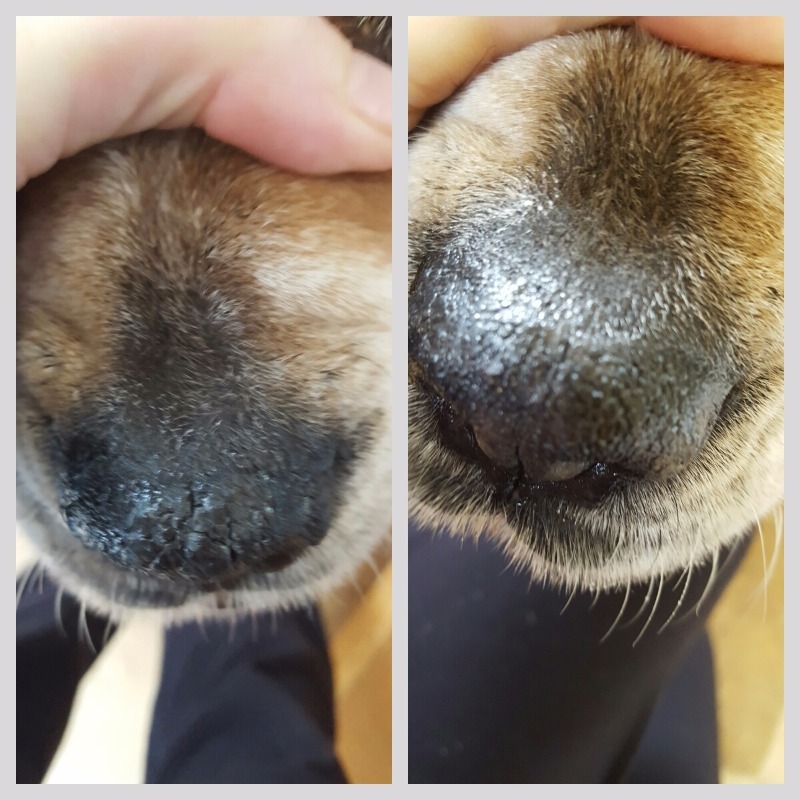 I was using coconut oil on my dogs nose to help with the crusty cracked appearance. I had no idea there was a product just for the dry cracked noise. It is fantastic!! It stays on for hours and my dogs do no mind me applying it. Please try it, it really is awesome. My sharpies nose is finally pretty again! Even after two days a huge difference!